Davy Arch has dedicated his life to preserving and promoting the culture of the Cherokee. Davy Arch grew up on a subsistence farm in western North Carolina. As a boy, he learned the value of traditional Cherokee culture from his grandfather, who taught him the old stories, how to hunt and fish, and how to identify valuable medicinal plants. Today Arch is a practitioner of traditional medicine, a historian, storyteller and a folk artist with work on display at the Smithsonian Institution. 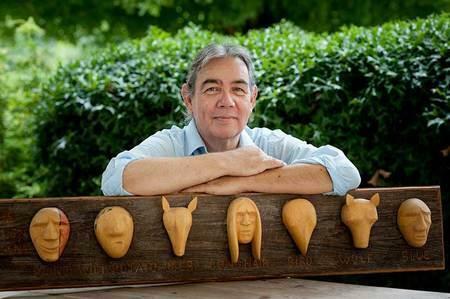 Meet Cherokee historian, storyteller and master carver Davy Arch. Host Frank Stasio speaks with Arch about the many changes he has witnessed in Cherokee, North Carolina throughout the decades and about his lifelong fight to preserve Cherokee culture. This is a rebroadcast from March 13, 2017.